VCS root is configured to authenticate usin username and password. 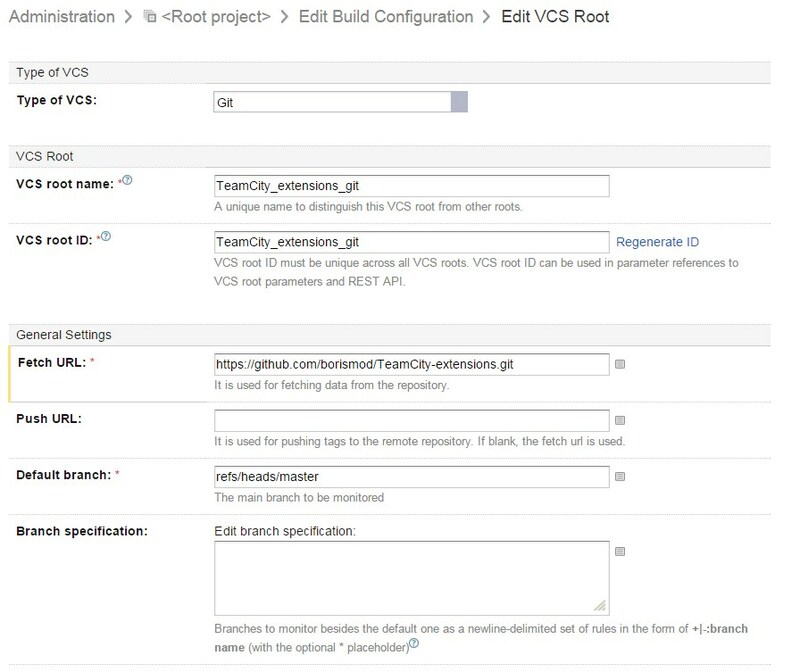 Could you please attach screenshot of the affected VCS root and teamcity-vcs.log? Thanks for the quick reply. It happened with all the VCS root that use github. Please find all the VCS logs attached and also screenshot of VCS root configuration. The firstly reported error ("the trustAnchors parameter must be non-empty") means that there were no valid certificate found or truststore couldn't be opened due to access permissions. If the issue is reproduced, please check that your certificates are valid and follow this link to configure JVM for authentication. Do "VCS problem" messages disappear if you refresh the page? Did the build finish successsfully? Do test connection work for this VCS root? I do not understand what certificates I should update on the TeamCity server and what has changed. We used these VCS roots that consume github repositories for a long time. Do "VCS problem" messages disappear if you refresh the page? [Boris] No, it remains there all the time. Did the build finish successsfully? [Boris] Builds of existing build configuration succeed, but the error "VCS problem: TeamCity_extensions_gitdetails »" remains all the time. New build configurations that use the same VCS root fail to start due to the same "VCS problem". Do test connection work for this VCS root? [Boris] No, it does not. Can you reproduce it by connecting to https://github.com/borismod/TeamCity-extensions.git ? We still experience this behavior and many build cannot start. Is there any progress on this issue? Should I open an oficial issue on youtrack? Sorry for delay. I created a project in TeamCity using the link you provided and everything works as expected - the sources are checked out without any issues. Could you please try to clone the same repository via command line on TeamCity server machine? Does it work? According to the errors message there are some problems with the truststore. Please see the related post.